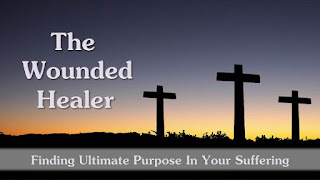 The other day, I heard a podcast that I want to highlight for anyone who is a victim of the evil and suffering of life and questions God's purposes, His love, or even His existence. Whether our experiences are singular traumatic events, day-in and day-out pain, or a combination of the two, suffering often feels completely unbearable. These experiences can be so painful that many people are compelled to honestly question and seek legitimate answers to how an all-loving and all-powerful God could and would permit the suffering that we experience in our lives and see others experience in our world. This is called the logical problem of evil and has been long recognized as having been resolved, even by atheists (click or tap the link to see how). Some, though, have wondered if that given the amount of evil and suffering, it is likely that an all-powerful and all-loving God does not exist. Simply stated: "There is too much gratuitous suffering in the world for an all-loving and all-powerful God to exist." While this is a more modest concern that seems reasonable, if it is to be granted, such a denial of God's existence based upon gratuitous suffering is necessarily reliant upon the idea that God does not have reasons to allow the amount of suffering that He does. Further, that depends upon knowing God's purposes (or lack thereof) and how those purposes could (not) be accomplished. However, both the purposes of God and the methods of their fulfillment would have to be extremely limited for one to reasonably conclude that the amount of evil and suffering in the world is gratuitous. God's purposes and methods are not so limited, so evil and suffering cannot be used to reasonably conclude that God does not exist. Yet, even though this answer is reasonable, it does not really answer the question of what the purpose of evil and suffering actually is. That is where I believe that Dr. Emerson Eggerichs picks up from the logical answer to the problem of evil and suffering and makes a deeply personal connection to their purpose. Our experiences of evil and suffering are deeply personal, so it makes sense that their purpose is personal as well. What are the purposes for which we are placed in different situations of suffering? We need to look not much further than Matthew 28:19a- "Go and make disciples of all nations." Suffering is no respecter of one's status, deeds, or even worldview, so all people experience it. Suffering reveals weakness in individuals, and the same suffering reveals shared weaknesses among individuals. Thus suffering is an experience that forges bonds of trust- trust of one another that is grounded in the knowledge that the other person has an intimate understanding of the anguish of their suffering. From the perspective of the moment, suffering is unbearable; yet from the perspective of eternity, suffering is trivial. The perspective of the moment instills in us a strong desire for relief for not only ourselves but for those who suffer like us. The perspective of eternity instills in us a strong sense of purpose and encouragement to know that the relief we desire for ourselves and others in the moment will be realized. These two perspectives converged nearly two thousand years ago at the Cross. Jesus saw his suffering the torture of crucifixion in the light of the rest of eternity for those who would choose to accept Him. He understood that that time of suffering was finite and could not be compared to the infinite time of bliss that it would provide to those He would reconcile to the Father. Three days later, this convergence was verified as Jesus overcame His suffering and conquered death in His Resurrection. It is this historical event that demonstrates the ultimate purpose of our suffering. While suffering can strengthen the trust of the Christian in Christ, Christians can turn those same experiences into many opportunities to bring unbelievers into a loving, trusting, and healing relationship with Christ and share the relief with us. The Apostle Paul wrote "I consider that our present sufferings are not worth comparing with the glory that will be revealed in us" (Romans 8:18). It is through our own suffering of tragedies and evil in this world that the Great Commission can be accomplished- that unbelievers, who we love and comfort through our own personal experiences of the same suffering, can live pain-free and for want of nothing for eternity with their Creator, Savior, and Healer. As the Body of Christ, we are His representatives in the physical world; it is through us that those who suffer can see, hear, and feel the heart of our suffering Savior- the One who lives so that they may live also (John 14:19). Every bit of suffering in our lives can have an ultimate purpose. It is our choice, though, if our suffering will be more than gratuitous and have an ultimate purpose. That purpose is to allow us to come alongside someone else who is also in that suffering and be trusted and permitted to speak the truth, hope, love, and healing of Christ into that life. We are wounded by suffering so that we have the opportunity to heal others wounded by suffering by pointing them to the ultimate Healer who was wounded for us. 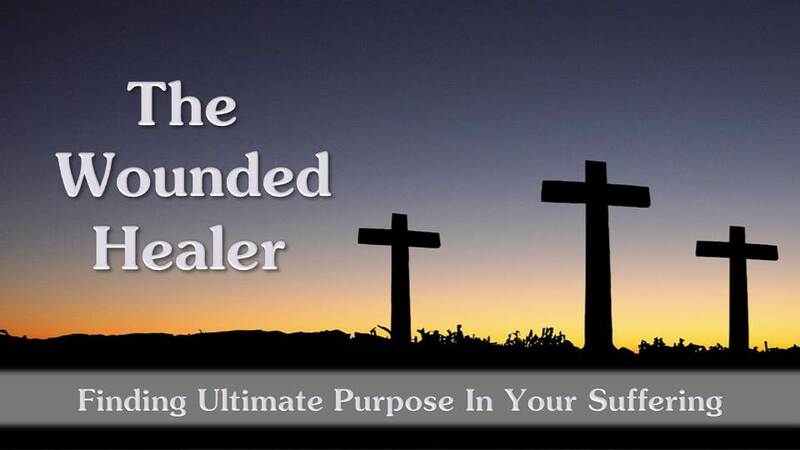 Dr. Eggerichs describes in this podcast how he was wounded but uses those wounds to heal others and point them to the ultimate Healer. Please listen to the podcast and be encouraged that the evil and suffering that you experience in your life can be used to guide someone else to an eternity free from those experiences and full of unspeakable joy. Our suffering is only gratuitous if we allow it to be, and why would we want to allow that? Click or tap this link: Love and Respect Podcast: The Wounded Healer, then choose to speak life to the broken hearted. Book Review: Can Man Live Without God?